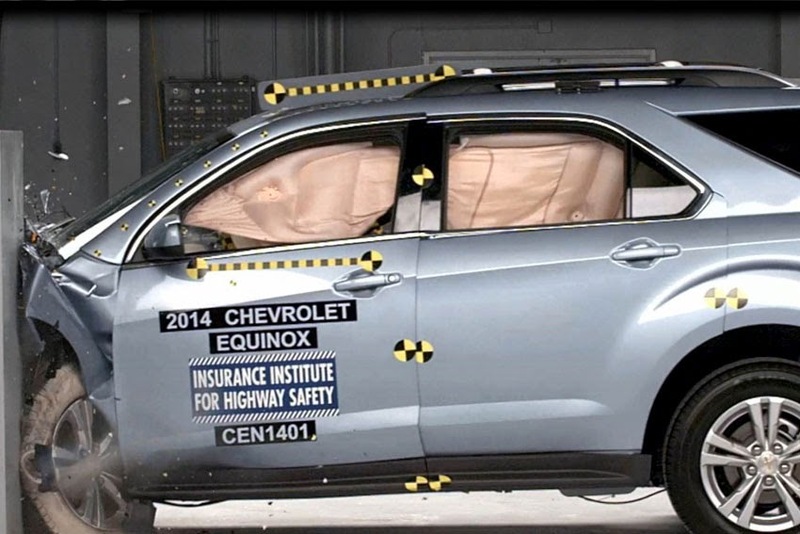 The Equinox and Terrain join the 2014 Chevrolet Malibu mid-size sedan in earning the institute's highest safety rating. The test, in which 25 per cent of a vehicle's front end on the driver side strikes a 5-foot-high rigid barrier at 40 mph, is designed to replicate what happens when the front corner of a vehicle strikes another vehicle or an object like a tree or a utility pole. "Having the only two mid-size SUVs that earned the Top Safety Pick Plus designation speaks to GM's focus on improving our vehicles by offering advanced crash avoidance technologies that can help avoid a crash, and by enhancing vehicle structure and occupant protection if a crash occurs," said Gay Kent, Director of General Motors Global Safety Strategy and Vehicle Programs. "We are very pleased that the IIHS has recognized the safety of both the Chevrolet Equinox and GMC Terrain with this prestigious rating." Equinox and Terrain previously were named Top Safety Picks. The criteria for 2014 Top Safety Pick+ status was revised to include vehicles offering a frontal crash protection system meeting IIHS requirements, as well as achieving a Good rating - IIHS' highest classification - in four of five crash tests, and no less than an Acceptable rating in the fifth test. The 2014 Equinox and Terrain received Good ratings in all five crash tests.